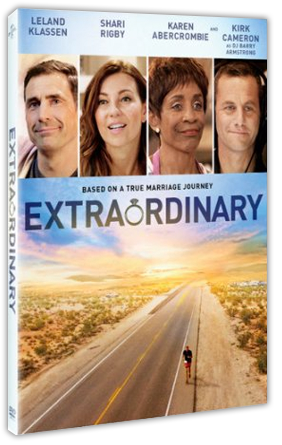 The DVD and Digital versions are loaded with bonus features, including featurettes on the real David and Nancy Horton, the student filmmakers at Liberty University and practical tips on building a lasting marriage. The movie features Leland Klassen (Alter Egos), Shari Rigby (October Baby), Karen Abercrombie (War Room), and Kirk Cameron (Fireproof). Now I am going to give a DVD to one of you, leave a comment and tell me why you would like to watch this movie? Sounds like a great movie to watch with your spouse. Looks like a great cast of talented actors as well.